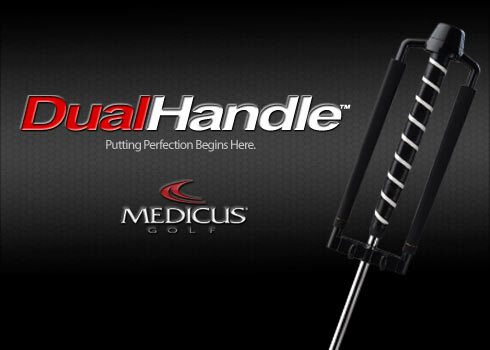 The Medicus Dual-Handle Putter Trainer promotes dominant shoulder movement; creating a smooth putting stroke for ultimate control and accuracy. 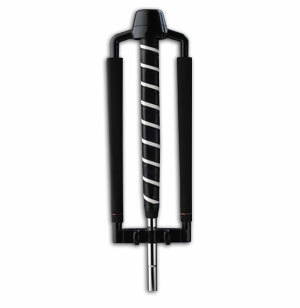 Attach to any putter for ease of use with the familiar touch and feel of your own putter. Training with separation of the hands is a simple technique that instantly breaks bad putting habits. When using the Dual-Handle Putter Trainer the wrists will not break and the triangle formed by the arms and shoulders will be maintained throughout the stroke. 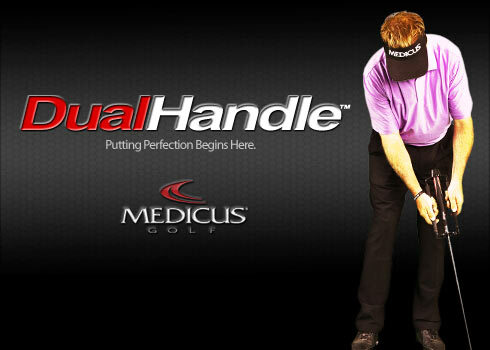 Practice putting with the Medicus Dual-Handle Putter Trainer and reduce the number of strokes you take on the green. Temporarily attaches to your own personal putter. Eliminates the wrist breakdown that causes missed putts! Dramatically improves your putting stroke. Helps you learn to putt perfectly straight. Includes instructional manual with additional putting drills.